68 ¢ lb./first 7 lbs. #5236, Add this coupon to your shopping list, print and present coupon to cashier for savings. $5.00 minimum purchase excluding coupon items. Additional 88¢ lb. Limit one coupon per family. 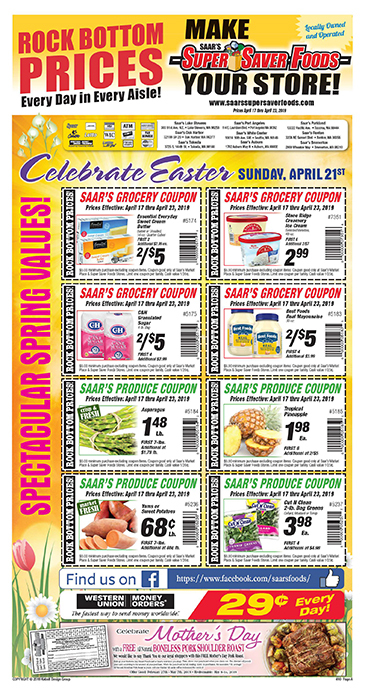 #5237, Add this coupon to your shopping list, print and present coupon to cashier for savings. $5.00 minimum purchase excluding coupon items. Additional $4.98. Limit one coupon per family.